Happy Friday everyone!! I am in an extra happy mood today because I took off from work to relax a bit and get ready for little nugget's party. I'm still trying to wrap my head around the fact that he is going to be two tomorrow. This week was a pretty low key week for us with the weather being all over the place. It's nice to have a break from the humidity but I did not like waking up and feeling cold in the morning. Summer, please don't leave us too quickly. 1. Beach: because I'm holding on to every last bit of summer there is no way the beach couldn't make this list (surprise, surprise). 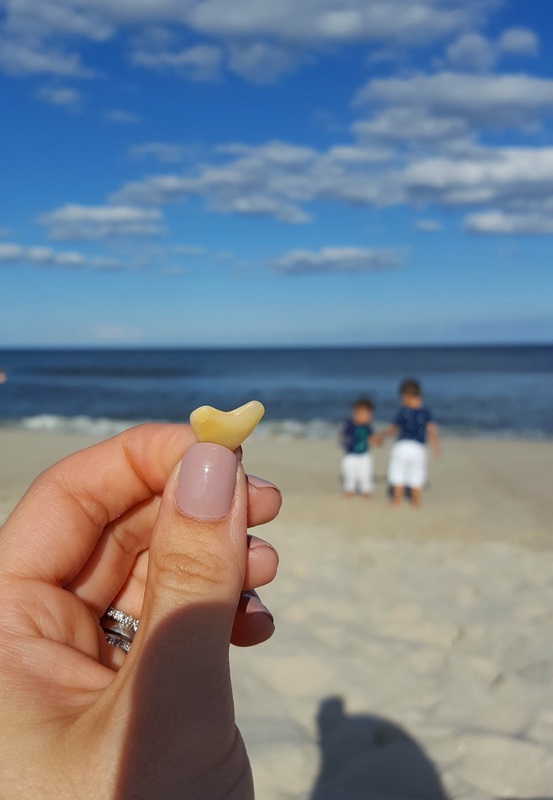 We had such a fun weekend at the shore and I shared more about what a typical beach day looks like with us earlier this week. I also had a melt my heart moment, maybe more like heart in a puddle moment, when A found a shell that he said was shaped like a heart and came over and gave it to me because he said it belongs to mommy. He also gave me the biggest hug and kiss and I might have squoze him a little too hard not wanting to let him go. 2.Crabbing: I absolutely love that both of the nuggets enjoy fishing and crabbing and aren't afraid to get right in there and pull the traps up. We decided to switch it up a bit and went early in the morning before heading to the beach. We caught a ton of crabs, but, majority of them were too little to keep so we only walked away with one each for us. We keep joking around that we'll be back in a few weeks for them and at that point they'll be bigger and we will get them. 3. Little nugget's bday prep: majority of my week has been spent doing a few diy projects for nugget's bday this weekend. 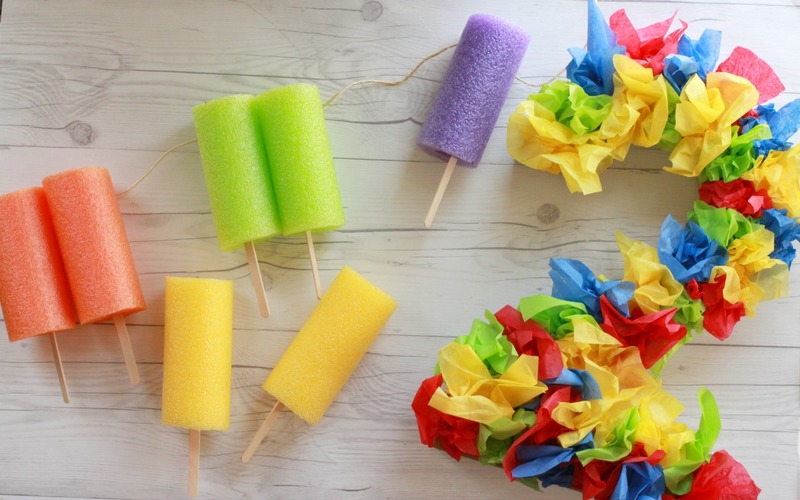 I shared last week that we are having a small beach ball themed party for him and I wanted to add some more focal points other than the 20 beach balls we will have floating around my dad's pool. We are hoping the weather holds out for us but of course they are calling for some rain, which is odd because it never really rains down by my dad (hoping that's the case this time). If you could all say a little prayer that those rain clouds blow on out of here it would be much appreciated. I'm not really sure how I would pull off a beach ball pool party in the house but we will see what happens. 4. 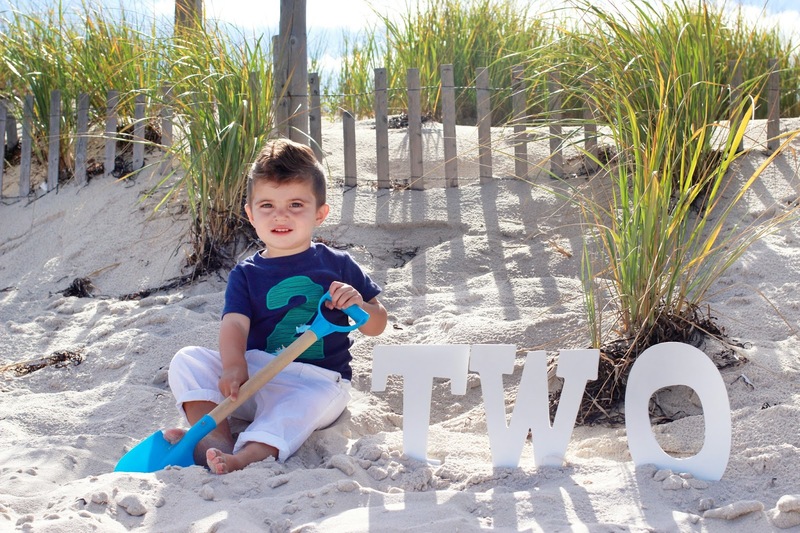 Two year pics: speaking of little nugget and turning two, he was such a great boy over the weekend and let me snap a few cute pics of him playing in the sand. Here's a little sneak peek and I am looking forward to sharing more of these next week along with his party.